Part of what makes food so powerful is that it roots us to memories. We can taste a dish again years later, and it still has the potential to bring up long forgotten feelings or details. There are certain dishes that remind me of my childhood and my mother – Lemon Meringue Pie, her meatloaf, a big skillet of spaghetti with garlic bread, and her fried chicken! Place oil in a skillet to heat up. There should only be about an inch of oil in the pan; enough to come no more than halfway up the piece of chicken. Coat the chicken in flour. To make this easy, my mom has always put flour in a brown paper bag (like an old school lunch bag), added a piece of chicken and shook. It's not a new concept, but it's effective. Slowly add chicken to the pan when the oil is hot and salt the tops. Do NOT overcrowd the pan. This will lower the temperature of the oil. 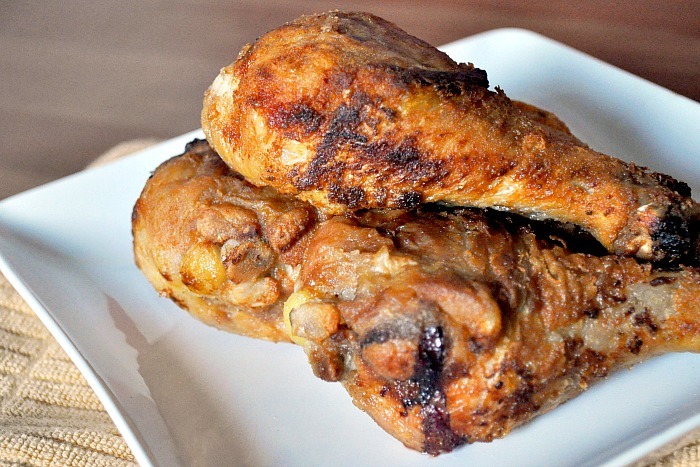 For drumsticks, I cooked about 10 minutes on each side, plus a couple minutes with them on both sides. I used my meat thermometer to make sure they were done. When I flip the chicken, I salt the other side as well. If you are using bigger pieces, it will take longer. When done, I move the chicken to a wire rack with paper towels underneath to cool and drain. NOTE 1: They say cast iron skillets are the best for pan frying, but you don’t need one. I use a fairly shallow fry pan that came with my set of pans. I do want to invest in a fry pan that’s a bit deeper though – maybe it will make less of a mess. NOTE 2: Depending on the size of your chicken and cut of meat, you might want to consider baking the chicken the rest of the way after getting the perfect golden outside. You can also try turning down the heat of the flame so that your chicken can cook longer without burning. Here is the thing about fried chicken – there are SO many “perfect” recipes. I like the simple ones, like my Mom’s Fried Chicken. It doesn’t take a lot of ingredients, it doesn’t take a lot of prep time, and it is always tasty. Here is the other thing about fried chicken – It takes trial and error. The first time I made it, the drumsticks turned out PERFECT! I took a bite and it reminded me of being at home with fried chicken, corn on the cob and a salad. My bigger pieces were hit and miss. I was rushing a bit and didn’t take the time to turn the heat down just slightly to let those big pieces cook longer. I also blame the grocery store for giving me mutant ROID chickens, but that’s another story. What recipes remind you of home and your mom? That chicken looks tempting. I like making spaghetti, reminds me of being a kid and my mom making it for my brothers and I. Buy ticket is my favorite chicken dish. I love the skin on it . looks like a great recipe. Ooooohhhhhh that looks delicious! Love fried chicken! 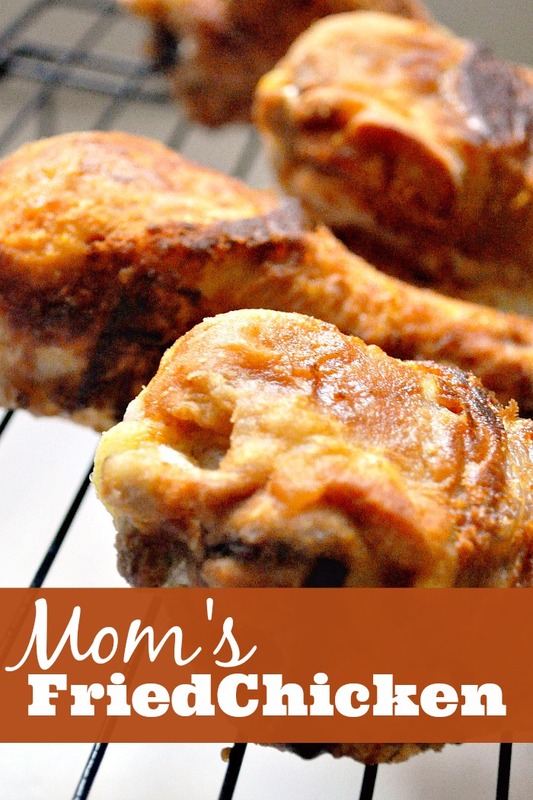 I have to admit I have never tried to make fried chicken at home before… I thought it would be too hard, but I see it looks doable, I will have to make this for my family! I love fried chicken. Also good with a side corn on the cob. My mom makes the best meatloaf paired with my dad mashed potatoes. I make them for my family all the time but it is just not the same! Always makes me homesick! Sometimes the simplest recipes are the best. Thanks for sharing a great family recipe. This chicken loos really delicious. I love to make doughnuts from scratch the way my dad used to when we were little. He would make big batches and we would dip them in powdered sugar. She definitely knows her fried chicken! That looks incredible! I just got an air fryer and I think I’m going to adapt the recipe, this sounds absolutely delicious. I love down home cooking! 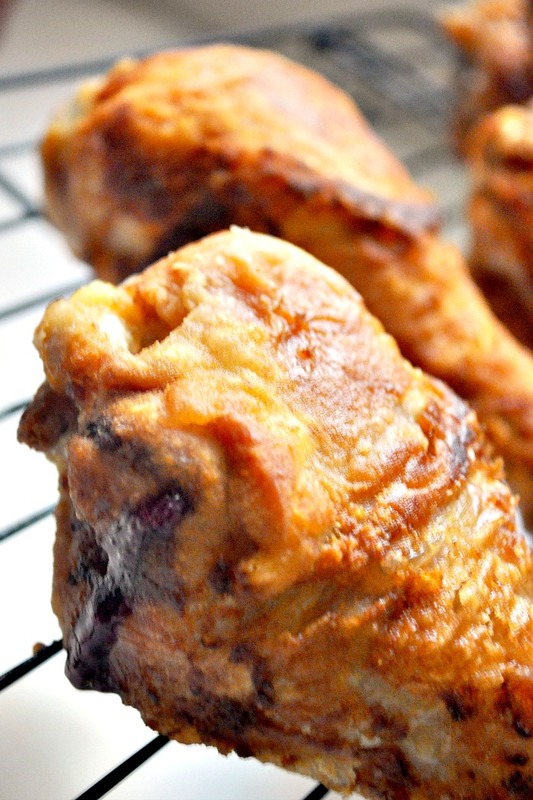 I’ve never tried to make my own fried chicken, but I need too – looks so good! I have always been to intimidated to make fried chicken. But, with 4 ingredients and your instructions I am all excited to try it! THANKS! My mouth is watering! This looks like great southern food – yum! My husband would think I was the best if I made these. Can you believe I have never made fried chicken? It is so intimidating to me. I am going to try though because this really, really looks good. This looks absolutely delicious! I love a good southern meal and this is the BEST main dish! This looks a lot like my recipe except I add meat seasonings to mine. Weird, right?! I love how simple your chicken recipe is. I love making homemade stew just like how my mom made it. Always great on a cool day. Beef barley stew reminds me of my grandmother. But there has the be homemade cranberry sauce to put mix into it.